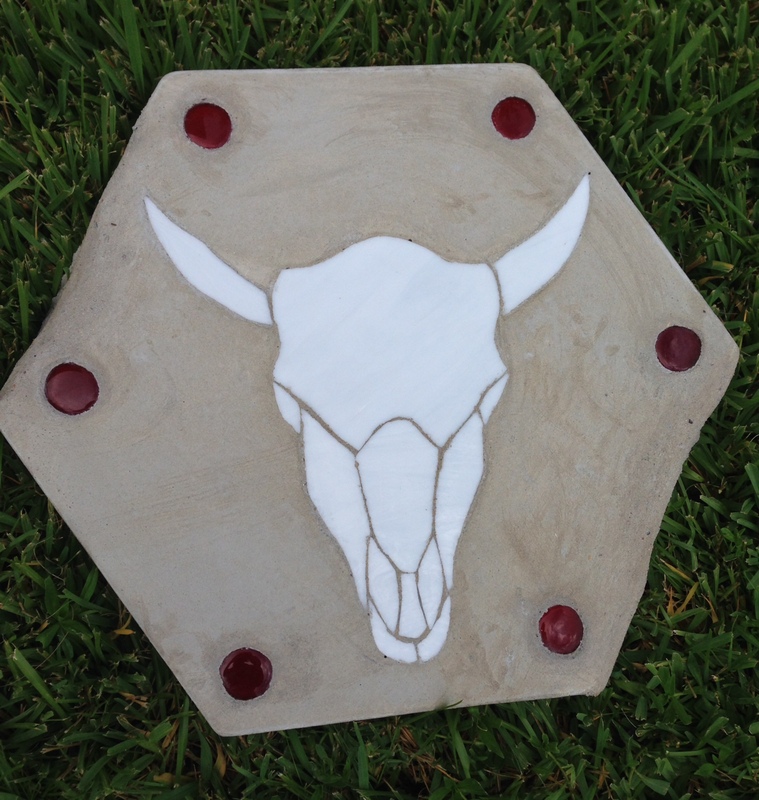 Beautiful Garden Skull Stepping Stone. Perfect for your garden or for a great gift. For more information please call (713) 899-0933! 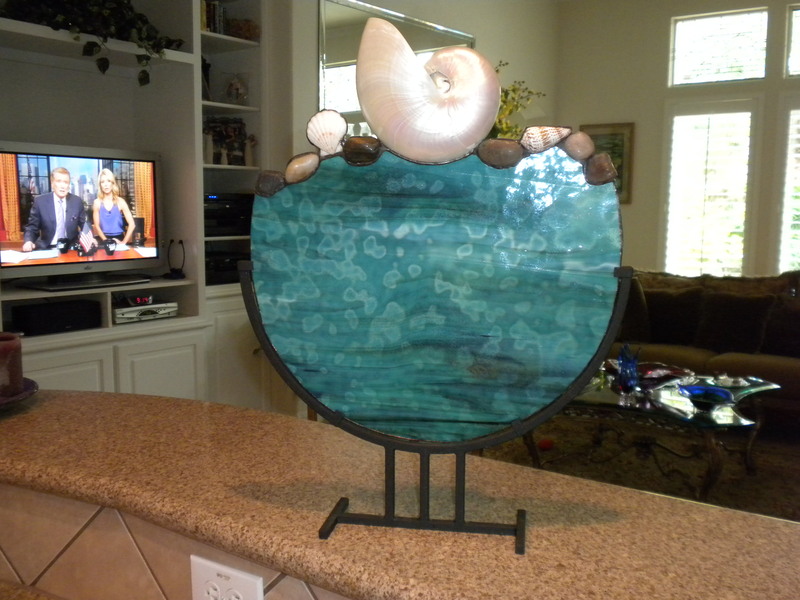 Nautilus Sea Shell with Beautiful blue green swirley stained glass and iron frame. For more information please call (713) 899-0933. Sells for $135.